Why does almost every game need to have "persistent internet connection" ugh. I must say graphics on ipad air 2 are very good and crisp. 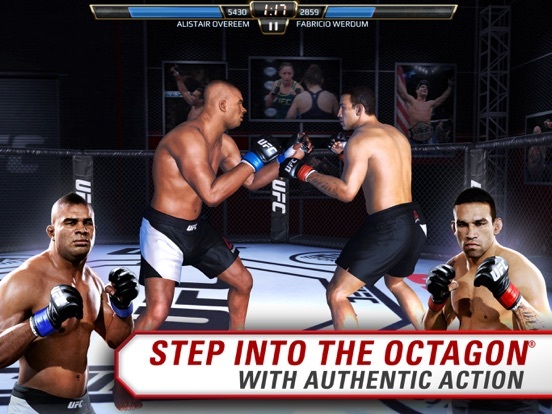 The gameplay seems very easy since its more of a tap and swipe back and forth with some takedowns. 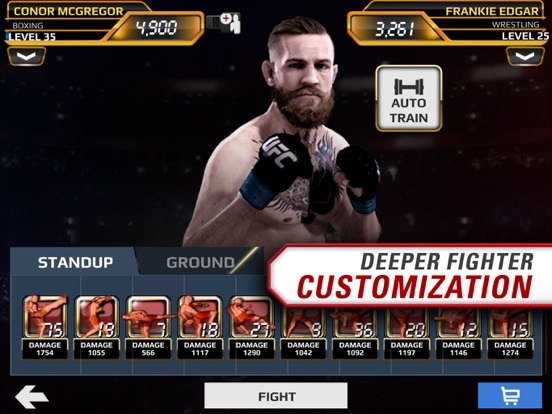 It worth a try for those UFC/MMA fans and yes its free with iap but seriously who cares! Don't buy iap and game is still fun to play. I think EA did a goob job in terms of graphic and gameplay. The game is pretty good so far after the tutorial anyway. It has a good feel to it when knocking people out and stuff. It has ground moves also. Yeah it's more like contest of heroes. I HAVE NEVER SEEN A BIGGER PAY WALL THAN THIS. I was kind of excited about this game, I thought if EA made a little softer currency model this would be good. 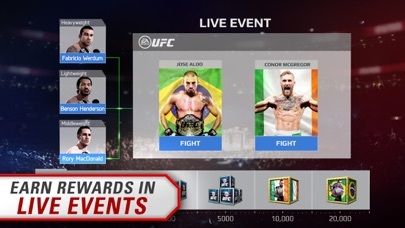 At the 12th match, your opponent will be double in your strength and you have no way of training or anything like that other than paying. By the way you can't unlock new characters without gold and gold is not given to you by the game, only way is to purchase. If you don't believe me check out the video above posted by Touchy85, fast forward the video to 29th minute. 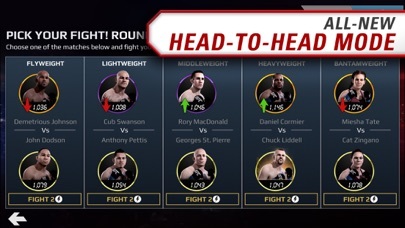 That is the match I'm talking about and it took him 39 seconds to get knocked out by this pay wall. Even though I tried a couple of times and lasted longer, this is still the biggest pay wall I have ever seen. Trust me guys don't even download this. When will this game be out in the US? I dunno, I got passed it, it was hard but its not a paywall. the 20th match is a paywall. I don't mind shelling out a few bucks if it's a good game. What I want to know is the cost of the IAP and what you get in return. I don't mind some IAP but I don't like IAP that in the end really does nothing to improve the game. Example if the IAP opens a new world, gives a new character that's fine but IAP just to get a potion that will be used up in no time is not a good IAP to me. Seriously I don't know what your smoking, but the 12th match you can get passed it. 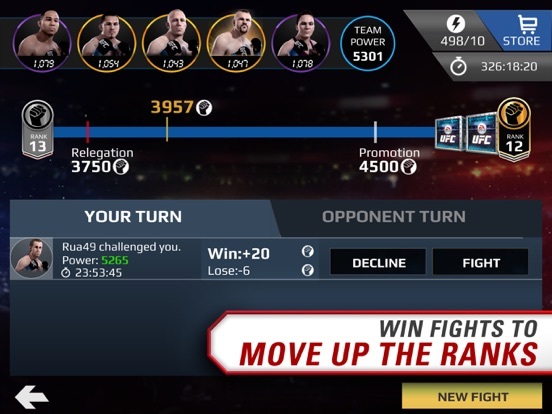 The 20th match is hard, but what I did was replay previous matches to get salary coins to buy a item box where I can train my guy. Try that, it will help you get pass the 12th match. I just got pissed haha that seemed like a huge paywall. Gangsta, what item can you get to train your guy? With the silver coins I couldn't buy anything, you need gold for everything. If 20 is a paywall I won't re download it but if there are ways to train your guy with silver and grind this might be possible. Any opinions, anyone done this? 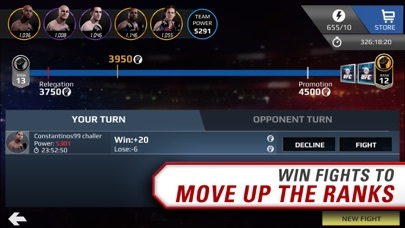 No IAPs purchased and I've gotten to #30 with Alex Gustafsson + just received Jim Miller from one of those crates. 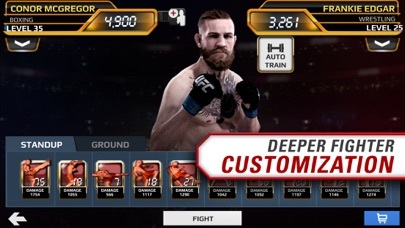 Training packs cost 2000 silver (OR 100 gold) and give you a bunch of fight "moves" that have a specific amount of xp, which you use toward leveling up your fighters. If you get stuck, either replay previous fights for more silver/3 stars, or use an energy boost (you can get 10 of these for 2000 silver, or let it regenerate on its own). There's hardly a paywall. The trick is to keep leveling up and master the dodge (swipe left once). I will try that, downloading again now. Thanks! Wow so I have to say I have been playing this game the most out of all of my games recently. 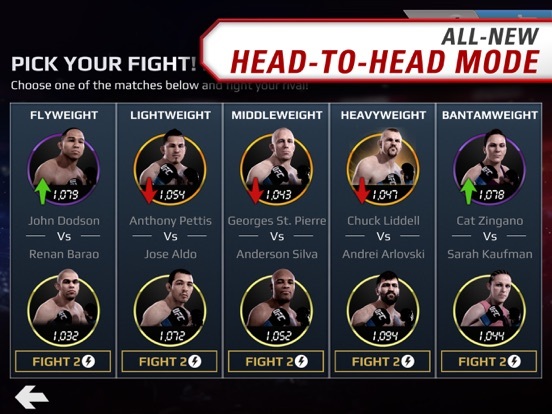 I am around fight 22 and loving it. I dont know what it is but man I like it. I have 1 fly weight, and 2 heavy weights all just from playing normally. No purchases made, even though I would because I am enjoying myself but I cant until it comes to US. 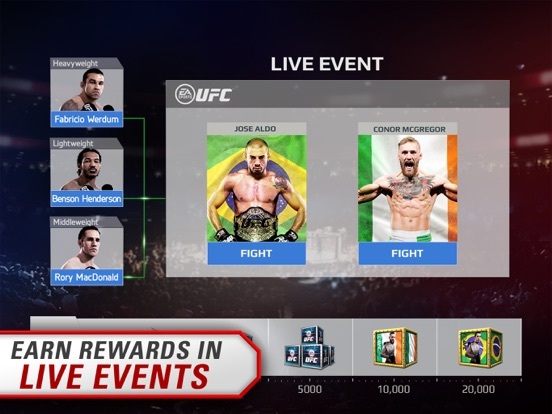 How do you get the extra fighters without paying? From the packs and boxes?